When I first read the excerpt in The Wall Street Journal of Amy Chua's new memoir Battle Hymn of the Tiger Mother, I had a similar reaction as most readers--especially parents--experienced: this woman is abusing her daughters! It begins with a list of things her daughters were never allowed to do, including attending sleepovers or play dates, participating in school plays (or complaining about not participating), watch television or play video games, receive any grade less than an "A" (including A-minus), not be the No. 1 student in every subject except gym and drama, choose their own extracurricular activities, and play any instrument other than the violin or piano (which they were required to play). Those poor, poor girls, I thought. To be honest, that doesn't sound so extreme. Our country was established upon the principles of hard work and never giving up. But it is the means with which Chua "overrides their preferences" that got so many parents up in arms. Chua tells the story of how she once called her daughter "garbage" for being extremely disrespectful, a term Chua's own father had used once when she'd disrespected her mother. Chua defends her choice of word by insisting that she did not lose any self esteem or feel worthless after her father used it because she knew he "thought highly" of her (notice she doesn't say "loved") and she herself was deeply ashamed for her behavior. She goes on to say that where Western parents generally encourage their children to do their best, Chinese parents demand it and accept nothing less. Where Western parents might worry that their child isn't as bright if he brings home a "B," a Chinese parent will force the child to complete countless practice tests until he masters the subject and makes an "A." Chinese parents believe their children are capable of A's and see nothing wrong with expecting the best. The difference, Chua believes, is that American parents are too worried about their children's self esteem, where Chinese parents just assume their children are strong and treat them that way. They believe their children can withstand any shame and punishment that is doled out and that the result will be excellence in the future. She also notes that Chinese parents praise their children in private, where Western parents praise their kids everywhere and to everyone. Chua states in the excerpt, "Chinese parents believe that they know what is best for their children and therefore override all of their children's own desires and preferences." This is where we return to Chua's list mentioned earlier. Chua's version of "overriding" her daughters resembles more running over her daughters. In her quest to push them to success, she verges on pushing them over the cliffs of insanity. Chua gives an account of making her younger daughter, Lulu, learn a piano piece called "The Little White Donkey." After working for a week, drilling the piece over and over for hours to no avail, Lulu has a small meltdown and decides she is giving up, challenging her mother with the old childhood taunt of "you can't make me." That's where Lulu was wrong. Sort of. Chua tells how she dragged the seven-year-old back to the piano, where Lulu proceeded to rip the music to shreds. Her mother taped it back together and placed it in a plastic shield. She then hauled Lulu's dollhouse to the car and threatened to donate it to charity piece by piece if the child didn't learn the music perfectly by the next day. When Lulu tried to call her bluff, Chua told her she'd withhold food and cancel all future holiday celebrations and birthdays for the child if she didn't play the music right. Lulu began playing again, still failing to play it perfectly. At this point, Chua accused Lula of purposely "working herself into a frenzy because she was secretly afraid she couldn't do it." Chua instructed her daughter to quit being "lazy, cowardly, self-indulgent and pathetic." Chua sat down beside her daughter and continued through the night, denying Lula a break for water or even the bathroom. She says the house was a "war zone." Then it happened. Suddenly, Lulu played the piece perfectly. Her hands suddenly came together—her right and left hands each doing their own imperturbable thing—just like that. And while this story has a "happy" ending, I am still horrified at the lengths to which she went to force her daughter to learn the piece of music. This wasn't a horrible little monster of a child who needed extreme discipline, only a little girl struggling with the piano. What's wrong with individuality? Passion? Nurturing? Sure kids need to be prepared for the future, but is belittling them and threatening them the way to do it? I looked back at the title of the piece--"Why Chinese Mothers are Superior"--and snarled a little bit. No, they're crazy Nazi control freaks who emotionally batter their kids, I thought. I brought up the article with some friends who told me other stories from the book, including Chua once throwing a handmade birthday card back at Lula when she felt it wasn't her child's best work, telling the child, "I deserve better than this." My venom for this woman I only knew through her writing grew and simmered. I chewed on that article for about a week, as I often do when something pushes my buttons. The more I thought about it, however, the more I found myself agreeing with her. Not her methods, but the ideas behind them. I began to take more notice of the parents and children around me and was a bit disheartened at what I saw. Perhaps we Westerners do accept too little from our children and nurture their mediocrity. Maybe we are too focused on this almost cult of self-esteem and as a result cripple our children instead of making them stronger. In our attempt to build up our children, are we instead tearing them down in the long run? "This is a story about a mother, two daughters and two dogs. This was supposed to be a story of how Chinese parents are better at raising kids that Western ones. But instead, it's about a bitter clash of cultures, a fleeting taste of glory, and how I was humbled by a thirteen-year-old." Wait... what? It's not a book about how we're all screwing up our kids? What does she mean "humbled by a thirteen-year-old"? Lulu? I ordered the book and immediately started looking for more information. Obviously, the WSJ article had presented the excerpt out of context. I found myself on the Time website which featured a cover storyabout Chua and her book (incidentally, this very issue was already sitting in my house, recently added to a stack of unread magazines that I have neglected since becoming a mother). "To be perfectly honest, I know that a lot of Asian parents are secretly shocked and horrified by many aspects of Western parenting," including "how much time Westerners allow their kids to waste — hours on Facebook and computer games — and in some ways, how poorly they prepare them for the future...it's a tough world out there." While the article focuses quite a bit on how the book feeds into Americans' fear of "losing ground" to China and how indeed we very well may be(which is interesting), I wanted more information on the book itself and this "humbling" experience mentioned on the cover. Fortunately, the article gives Chua a voice outside of her memoir. She is quick to say she is not a monster and that everything she does is rooted in love and compassion for her daughters, Lulu--now 14-- and Sophia, 18. She talks about her strict upbringing by her Chinese immigrant parents and how she'd hoped to raise her girls the same way. She acknowledges that her parents' attitudes were shaped by harsh circumstances much different than her own. They weren't concerned with their children's happiness, only their futures in this new, strange country. She adopted this same view of what was best for her chidlren. Chua's older daughter, Sophia, was obedient, allowing her mother to dictate everything she could and could not do. Then came Lulu, who challenged her mother even while in the womb. It would be Lulu who would eventually force her mother into admitting that her hard-core parenting techniques didn't work--at least not without modification. Chua hints at a "screaming, glass-smashing, very public showdown" with Lulu over violin practice, an event that resulted in Chua admitting defeat and allowing thirteen-year-old Lulu to stop playing the violin. 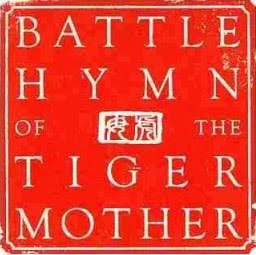 It was this experience that inspired Chua to write Battle Hymn of the Tiger Mother, not as a "how to" guide for Western parents, but as a reflection on her own parents, herself and her daughters. Chua has not completely abandoned her "Tiger mother" techniques and adopted the often laissez-faire parenting methods of her Western counterparts. While Sophia is allowed to date now, she must still practice her piano for 1 1/2 hours each day (instead of 6). In lieu of the violin, Lulu has taken up tennis which she has excelled at, even making the varsity team while still in junior high. Chua says that she has no specific career goals for her children as long as they are passionate about it and do their absolute best in whatever field they choose. Chua's daughters even insist that they will someday be strict mothers themselves--though not as strict as their own mother. Chua still holds to several of the key elements of the "Tiger mother" style of parenting, many of which are backed up by research in psychology and cognitive science. Chua insists that Western parents tend to "insulate" their children, protecting them from any situations that might result in "discomfort or distress." The result is a child who, once on his own, backs away from challenges instead of meeting them head on. Psychologist Albert Bandura's work focuses on the concept of self-efficacy, basically a person's belief in his own capabilities to solve a problem. People with a weak sense of self-efficacy tend to avoid challenging tasks since they feel ill-equipped to handle them. Self-efficacy is derived partly from so-called "mastery experiences." These are the moments in our lives when we face a difficult assignment or problem and achieve success, much as Lulu did with "The Little White Donkey." I tend to agree with her assessment of Western parents and how we attempt to raise our kids in a protective bubble. I remember when American Idol first came on and my mother told me, "I wouldn't want you to try out for that show because if Simon was cruel to you, you might never want to sing again." And this was when I was in my twenties! (Note: I never considered trying out for AI because while I don't think I'm a horrid singer, I have enough honesty with myself to know that there is no way on Earth I'm good enough for that show.) My mother was so worried about my self-esteem that she discouraged me from taking a chance. We often do over-protect our children. How many times do parents say, "Don't run, you'll fall down" or "Here, just let me do it for you." Kids are supposed to fall down. Show me a kid who doesn't have scabby knees and I'll show you an overprotective mother. And why are parents so afraid to let their children get frustrated during a task? During a recent visit to Chick-fil-a, a little boy was trying to tie his shoe. After his 3rd (failed) attempt, his mother swooped in, pushing his hands away and tying it herself. I might have understood this if they were in a hurry to leave, but they weren't. It's like she couldn't stand to see him continually not tie his shoe. It's one thing to protect your child from an actual danger and quite another to wrap them in bubble wrap and filter their world through rose-colored glasses. Please understand I'm not judging. Though I am a new parent, I have found myself many times--especially during my semester as a math tutor--snatching a pencil from a frustrated student's hand and saying, "Here, just let me do it." Even with my almost six-month-old daughter, I find myself trying to "shield" her from failure. Just today I saw her stretching out for a toy in her play pen, grunting as she tried to wrap her tiny fingers around it. Though she eventually would have reached it, I grabbed the toy and placed it in her hand because I wanted her to be "happy." And it doesn't stop there. I used to roll my eyes at mothers who refused to let their babies "cry it out" because they were convinced their children would feel abandoned and unloved. Now I fight the urge to jump off the couch every time I hear her whine over the monitor. It is only with tears and some strongly-worded talks with myself that I have become (mostly) convinced that putting her in her own room and letting her cry is better for her and our family in the long-run. Chua is also critical of parents who are constantly "slathering praise on their kids for the lowest of tasks — drawing a squiggle or waving a stick." While American parents want their children to be "gifted," Chinese parents want to raise hard workers. Psychologist Carol Dweck has researched the effect parents' type of praise has on children. Student: Mrs. Guthrie, I made a 5 on my practice essay. Me: Excellent! I know that took a lot of work. Now go make revisions and see if you can get a 6. Student: But I got a 5. Me: I heard you, dear, but you can do better. You did have a 3 and now you have a 5. With a little work it can be a 6. Student: "But I'm happy with my 5." Me: I'm not. You're smarter than that. Now quit being lazy and go revise. And Shakespeare forbid that a child made a 5 on his first essay. It took an act of Congress to get him to write another word after that even though I insisted that he needed to practice since he might not be as comfortable with the next writing topic. I was frequently accused of "pushing them too hard" and was constantly met with eye rolls and loud huffing and puffing. But when they finally got a 6, it was worth the pay off. They were so proud of themselves. And I made sure that when they scored a 6 that I made a big "to do" over it, giving them a hug and clapping my hands joyously. I want to point out, however, that I didn't expect every student to score a 6. I'm not so disillusioned to think that a learning disabled student reading on a 5th grade level will make a perfect score. I set goals for those students, though, and pushed them just as hard. When a student starts with a score of 1, a 3 or 4 is reason to celebrate. I praised the student who struggled and sweat to earn a 4 just as much as the one who could produce a 5 or 6 on their first try. I have to believe that many of these students were the products of parents who praised them for being "smart" and not for their effort. They were honestly afraid that if they tried again, their score might drop a point, taking their intelligence with it. They didn't know how to be proud of the work it took to get a higher score. I see this over and over with my students who would rather cheat in hopes of an "A" than to work their asses off for a B or C. I don't blame them, though. I blame parents who focus too much on grades and not enough on effort. Another area in which Chinese parents differ is their willingness to repeatedly drill their children in a subject until it is mastered. As Chua says in the opening paragraphs of her memoir, Chinese parents understand that "nothing is fun until you're good at it." I think back to my fourth and fifth grade teacher, Mrs. Gay Robertson. She taught us our multiplication tables. Not only did we have to learn them, we had to be able to complete them under pressure. I vividly remember taking out a piece of paper before recess and having a set amount of time to write my "9's times table." Those who didn't complete their drill in time had to miss the first few minutes of recess to complete the drill until they could do it. While some people would call this mean, what did it really hurt? It only took a few times of being held after the recess bell for those who couldn't do it to get with the program. And how did they do it? They drilled. And once we all knew our multiplication tables, it did become more fun as our daily drills turned into races to finish first for a piece of candy or small prize. I've often been asked why I enjoy reading and writing so much, to which I automatically reply, "I'm good at it." When I read a piece of text, I don't struggle with understanding the words or their meanings and if I do come across a word I don't know, I have enough knowledge to figure out its meaning through how it's used in context. As for writing, I'm not tooting my own horn and saying I'm an excellent writer or anything like that. However, I'm obviously an above average writer or I wouldn't have scored well on college papers and earned an English degree. Because I understand writing, I am more apt to enjoy it. Now, take a subject like chemistry (or pretty much anything science related). I struggle with these subjects and therefore don't enjoy them as much. If I had ever been focused or dedicated enough to truly learn about them, I wouldn't have dreaded those classes quite so much. American parents should be able to buy into this philosophy of "drilling equals mastery equals fun," especially if they think about it in terms of sports. Most kids don't enjoy playing baseball if they strike out every time to bat. A kid who comes in last in every race will probably not want to run track anymore. No one wants to be the crappy kickballer who is always chosen last, the captains arguing over who has to take him. In these situations, some parents allow their children to quit. Most, though, take those children out in the yard and spend hours tossing a ball to them or timing them as they race up and down the driveway. When it comes to other endeavors, however, such as their academic studies, how often do the parents back away from drilling their children on spelling, vocabulary or multiplication tables because it will make learning "boring"? Their children become frustrated and the parents in turn become frustrated, perhaps because they are uncomfortable when they witness their offspring struggling with schoolwork. No one wants to admit his child isn't "gifted." But instead of drilling their children and proving to them that with practice they can learn the material, they back off. Is it going too far to assume that some of these parents have less faith in their children than the children have in themselves? Why wouldn't they push them? Is it sheer laziness? Daniel Willingham, a professor of psychology, told Time magazine, "It's virtually impossible to become proficient at a mental task without extensive practice...if you repeat the same task again and again, it will eventually become automatic. Your brain will literally change so that you can complete the task without thinking about it." Once a person can complete a task without any thought, it allows him to process the information in other ways. For example, if I am proficient in grammar and sentence structure, I can focus more on creativity when I write. Just as Chua's journey led her from extreme Chinese parenting to a more moderate--though still strict--style, my further reading has brought me from "I want her head on a stick" to "Maybe she's on to something." While I in no way condone Chua's name calling, bathroom privielge revoking or general ruthlessness, I do feel that so many parents are way too permissive, accepting and weak-willed with their children. I feel I have a right to say this since I've spent almost a decade working with so many of the products of these indulgent--though honestly well-meaning--parents. Now that I'm a mother myself, I hope to embrace some of Chua's philosophy. I can honestly say from personal experience that it works when used in a way that isn't cruel or aggressive. I grew up with a mother who defined both "worrier" and "protective." I can remember telling her as a teenager, "Jeez, Mom, just because I'm five minutes late for curfew doesn't mean I'm dead in a ditch." But though she "insulated" me in many ways, she was a "Tiger mother" in other areas. While she didn't punish or belittle me for not making A's, it was understood that a B just didn't cut it. "Why isn't this an A?" she would ask. I had a lot of good excuses, but as I look back I realize that none of them were valid. Yes, I was involved in many clubs and organizations, often in leadership roles. I was active in church and our high school theater program. I participated in community service in the community. And when college scholarship time rolled around, I do believe that those activities helped me earn a scholarship as much as my grades. However, I also remember the moment senior year when I learned I wasn't in the top 10% of my class. I was completely disappointed and a bit ashamed. I could hear my mother in my head saying, "Why aren't they A's." My mother pushing me helped me learn to push myself, which was immensely useful once I arrived at college and didn't have her standing over me each night. The motivation she instilled--along with the threat of moving back home if my grades dropped--allowed me to graduate on time with a 3.2 GPA. I didn't need to succeed to get my mother's love or approval since she always readily gave me that. But I wanted her to be proud of me, and I understood that pride should be earned, not given out as a boost to my self esteem. To this day, when I accomplish something I cannot wait to tell my mother, not because I need her to validate what I've done, but because I do feel like I'm paying her back for her all of her sacrifices she made. My mother is my cheerleader and no one wants to cheer for a losing team. I want to be a winner for her. Not because she demands it but because I do. As I raise my own daughter, I know I will struggle in incorporating this Chinese mentality into my parenting technique. I hope to find that fine line between legitimately protecting my child from danger and holding her back from new experiences, even if they result in failure, pain or heartbreak. I want to find ways to push her to succeed without being a dictator. I want to be strict but not unreasonable. I won't sit here and even begin to pretend I have it all figured out. I'm totally green at the motherhood game. But I see nothing wrong with having goals and refusing to compromise when I know something is best for my daughter. Amy Chua warned that it's always hardest at the beginning and that's were many parents give up. I don't want to give up. How can I encourage my child to never give up if I give in whenever she throws a tantrum or tells me how my rules are ruining her life? So while I will be allowing Amelia to have sleepovers and I most certainly will encourage her to try out for the school play, I will not praise mediocrity. She may not always be the best, but I will insist on her giving every task her best. "Hard work, persistence, no patience for excuses: whether Chinese or American, that sounds like a prescription for success with which it's very difficult to argue." You'll hear no arguments from me. With the 10 year anniversary of September 11th approaching later this year, there will undoubtedly be numerous gatherings and programs commemorating that day's events and those who perished. For many, 2001 was a year of loss--of innocence, of security, of so many lives. On 9/11, I had been married exactly 10 days. As much as I already loved John, I can honestly say what I witnessed that day and in the days that followed had a profound impact on the way I viewed our marriage. As women holding pictures were interviewed, pleading for anyone who had information about their husbands to come forward, I said a silent prayer for them and thanked God that my husband was safe at home with me. While so many lives were ending, our life together as husband and wife was just beginning. In fact, 2001 was a year full of beginnings for me, a year of firsts and starts. Therefore, this year will be somewhat bittersweet for me. While our country and so many of its citizens mourn the loss of loved ones, I will also be reflecting on how I started on my new road ten years ago. And though it is my nature to feel a certain amount of guilt, I don't want to diminish the fact that I have been so blessed these past ten years. I met my husband, John, in January 2001. After being shut out of Biology due to a scheduling conflict and an unsympathetic (read: jerk) professor, I went to Dr. McMahan and begged for mercy. He agreed to sign me into his Vertebrate Zoology class, warning me that it would be challenging for someone who had not completed ANY of the pre-requisites. There were about a dozen or so of us in the class. John was one of them. He sat in front of me, harassing and teasing me pretty much constantly (it would seem that John's flirting technique stopped developing in the 6th grade). We had lunch a couple of times and he helped me study for our final exam. I thought he was terribly cute and funny (and smart and kind and...). We didn't go on our first date until February 2001. It was the standard dinner and a movie, but he tried to impress me by taking me to see "Finding Forrester" since it had to do with writing. A 2nd date followed and then a 3rd. It was at the end of this date that I told him point blank that we would get married someday. He didn't offer any argument (or go screaming from the car) so I assumed that he was in agreement. To be honest, even I thought I'd perhaps lost my mind. But I was as sure about this as I'd ever been about anything. Every part of me said, "This is it." We got engaged in the spring of 2001, unofficially and then officially. We waited a little while before telling our parents, hoping they wouldn't think we were total nutjobs (though at this point, I'm pretty sure my parents had no idea what to expect from me). Then John surprised me with a ring and "sealed the deal" so to speak. In May 2001, I graduated from college with a degree in English and a certification to teach grades 7-12. John had been accepted into pharmacy school in Memphis, so I started looking for a job. We spent the summer on the road quite a bit since he was living in Ripley and working in Memphis while I lived with my parents and worked in my hometown over an hour away. In August 2001, John started school, as did I. I was assigned to a middle school but only spent a few weeks there (as a floater) before they told me that their attendance was down and I was going to be transferred since I was the newest. On Tuesday, August 28th (FOUR days before my wedding!) I walked into my new assignment: Craigmont High School. I was absolutely terrified yet totally excited. The months that followed are a bit of blur, full of lesson plans and holidays and all the things that come with starting a life together. Looking back at 2001 from where I stand now, so many things that have shaped me began that year. While it brought challenges, that year also provided so many blessings. It was the year I met and later married John, which changed my life forever and eventually led to my beautiful daughter. It was the year of our first home together and the beginning of both our lives together and our (mostly) Independence from our parents. It was the year of my new career as a teacher and the start of my four years at Craigmont where I would learn all the things they can never teach you in a college classroom. It was also at Craigmont where I met so many lifelong friends, including "my Jenny." (I just realized how much I sound like Forrest Gump when I say that). It was the year my life truly began. So while I will be paying my respects this year to those who lost their lives that September morning and reflecting on the loss of that day, I will also be celebrating the life that was gained that year. 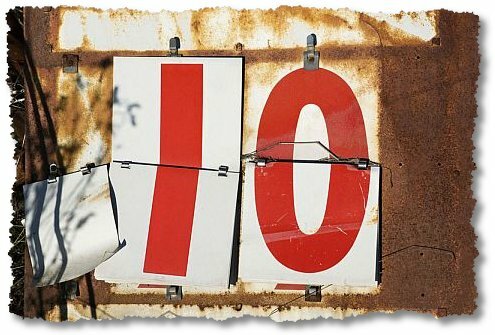 I look forward to 2011 and to the next ten years.